Yorkshire countryside. Photo by William Van Vugt. 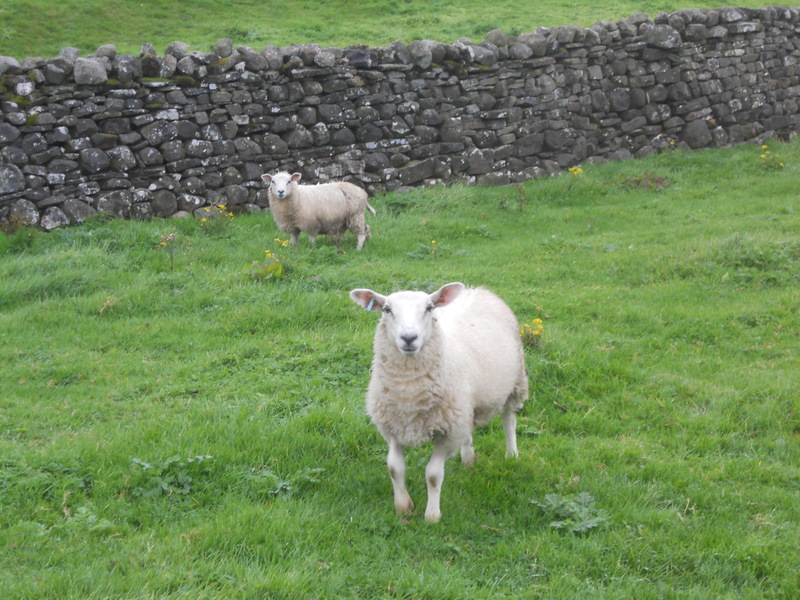 This past fall I was on sabbatical leave and spent much of it researching local history in Yorkshire, England. I had to travel quite widely, alone, throughout that lovely part of the world to work at a number of archives and libraries. One of the first places I stopped into was a village pub, which dated to 1732, to ask for a room. “You can have a room with breakfast for 40 pounds,” the owner said. “Great,” I said. “I’ll take it—thanks very much.” “Are you here on holiday?” he asked while I filled in the form. “No, I’m a historian doing research on the people who emigrated from this area to America.” “Oh, then you can have the room for 30 pounds,” he said. I was amazed and delighted and gratefully accepted the sudden discount. But that was just the first of several similar experiences. When I needed a place to stay over a long weekend—it happened to be on Yorkshire’s east coast—a landlady told me that her B&B was fully booked and she apologized, wishing me a good journey on my “holiday.” “Actually,” I said, “I’m a historian doing local research in the area on the people who left for America.” “Really?” she said. And after a pause, and a quick phone call in her cottage, she returned and said, “well, I can let you have my brother’s cottage around the corner, with breakfast, for 35 pounds a night.” A whole, two-floor cottage within spitting distance of the North Sea. I couldn’t believe it, and spent 4 blissful nights there. This story goes on and on: at another place I happily accepted a fantastic hotel room with a sea view that is featured on the local postcards for 80 pounds a night. And then after some small talk about my work in the area, the landlord gave it to me for 50. At a B&B in the Yorkshire Dales, where I had spent a couple of nights the week before, I returned, hoping for two more nights. The owners, who by now knew what I was doing in the area, said that they would not be home for the days I wanted—but they left me their keys and trusted me to have the whole place alone. And during several evenings in pubs, conversations suddenly blossomed when locals found out that I was not a tourist, or on business, but rather researching and writing about their history. The good will was nearly as delicious as the real ale. 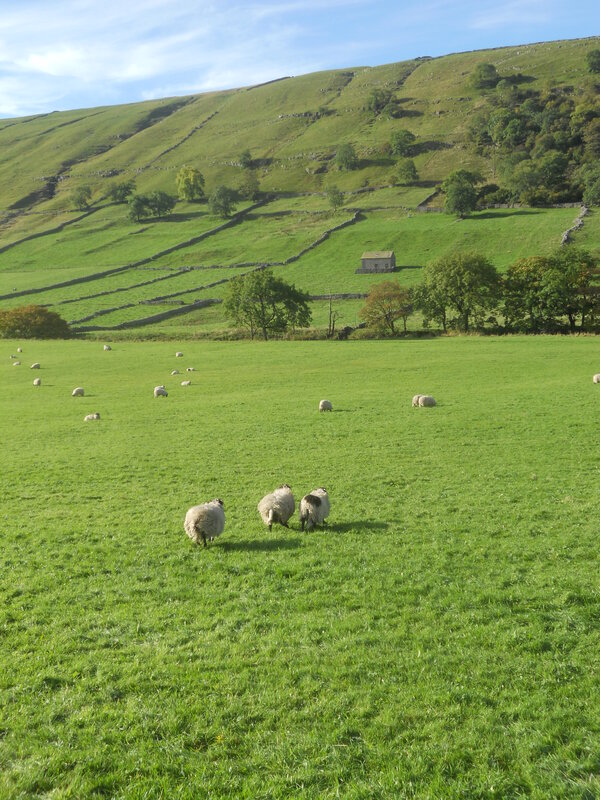 Yorkshire sheep. Photo by William Van Vugt. At first I was tempted to ascribe these remarkable gestures of generosity to the warm character of Yorkshire people—and surely that was part of it. Perhaps they were taking pity on a lonely, somewhat disheveled American travelling alone. But on further reflection it was clear that these random acts of kindness occurred after they found out that I was a historian, spending considerable time, effort, and money to write about their own history. It was that knowledge that turned good deals on accommodation into even better ones, and that led to warm conversations and a good feeling that I don’t think I would have otherwise experienced. And upon still further reflection I recalled other instances, in Britain and America, in which the fact that I was a historian made such happy differences. There is a kind of power in being a historian. Not the brute power one sees exercised every day on Wall Street, or government, or so many other places where it is money and influence that opens doors. But rather a gentle, more vulnerable power that is derived from the character of historians and what they do. Historians can be trusted. They uncover, interpret, and preserve our story—who we are. Historians are not in it for the money. They acknowledge the dignity and value of other peoples and cultures. They stand for equality and social justice. They make positive contributions to society, and they teach and train students who continue that legacy. They are polite and soft-spoken. Of course, it is not very hard to think of historians who are not covered by this generalization—I saw one on TV the other day. But to my mind the exceptions prove the rule. I would never suggest that historians have a monopoly on these virtues and experiences, or that the general public values historians in this way. But my recent trip to Yorkshire did leave me with a feeling that made me proud to be a historian. After more than a quarter-century at Calvin, I have heard countless examples about how my colleagues have touched students and members of the general public with their teaching, their character, their example and attitude, and their work as historians. In the hustle and bustle of our busy lives, it is often easy to forget or minimize the positive impact historians have—the power they have—over the people they meet. William Van Vugt is Professor of History at Calvin College, where he teaches courses in English and American history. The focus of his research is British immigration to the United States. He is recently exploring the migration of English music to the American frontier, and has produced a record of his own music, “The Veil of Time,” which is inspired by his research and travel in England. This entry was posted in William Van Vugt and tagged England, historians, history, local history, Yorkshire. Bookmark the permalink.